A troubled, painful, heroic trip, that often meets with death. 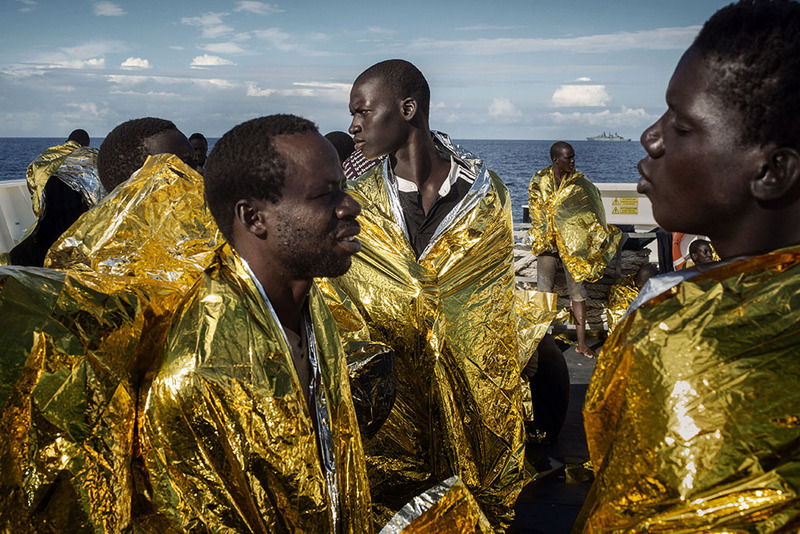 To cross the Mediterranean Sea means to rewrite a new Odyssey. It is the story of men, women and children who rely on providence even before fate, on a small boat, in the quest to find not an artificial well-being but rather to conquer a “dignified poverty”, an elementary concept, which we Westerners have forgotten. 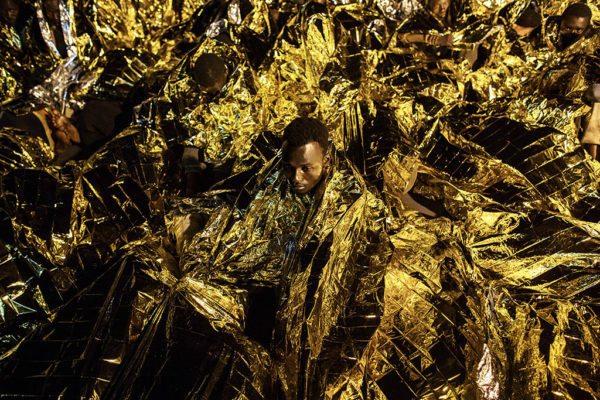 The migration situation, so dramatically current due to the multiple daily landings from the North African coast, is likely to be trivialized because of the images broadcasted or published repeatedly by the mainstream media. As in all trips, there is a starting point and a destination. 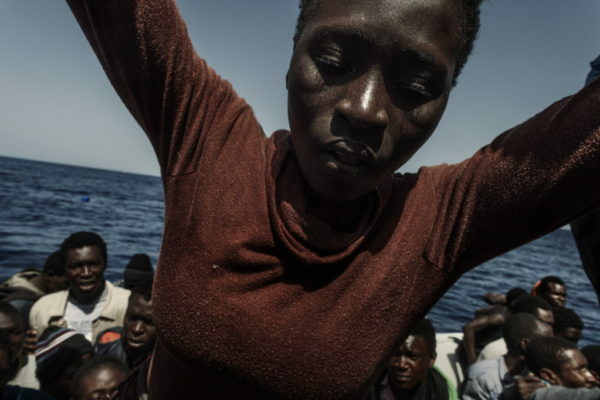 Yet there are just few who really describe, in the media narrative of this humanitarian tragedy, what really happens in the middle of the Mediterranean Sea, true epicenter of the migratory flow. 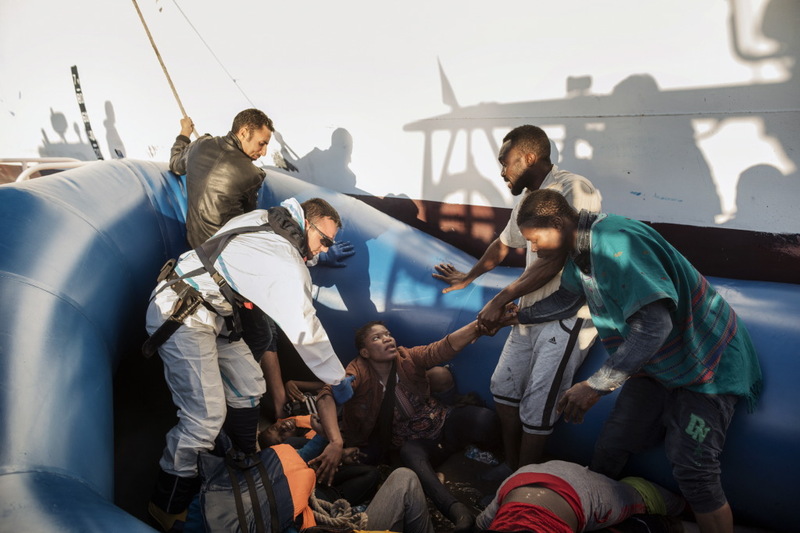 Photographs by Luca Catalano Gonzaga collected in the series “The bravery comes from the sea” were taken in December 2016 in Libyan waters, north of Sabratha, on the Italian Coast Guard ship “Ubaldo Diciotti” and address the issue of “first aid”, a proven protocol that this year alone has saved more than a hundred thousand people. 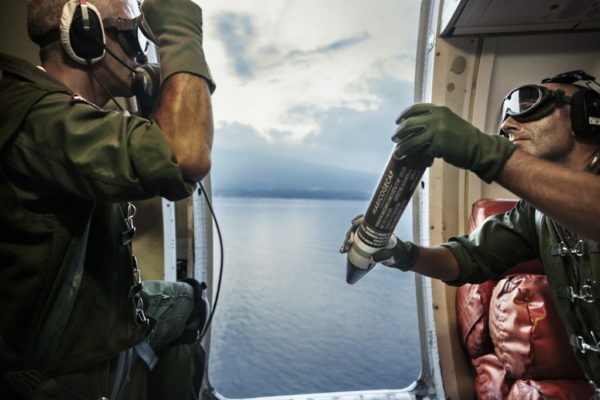 The operation is very delicate and requires cold blood by all the operators in the field. 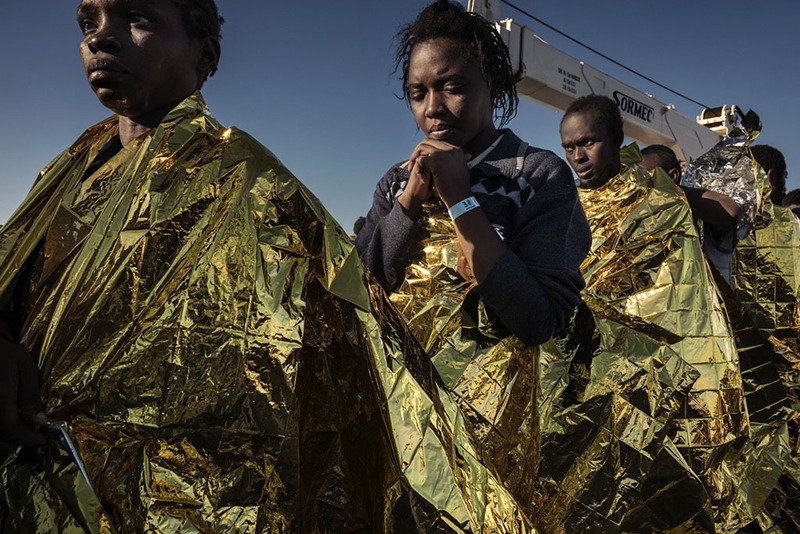 The dinghies dispersed in water that are identified after emergency calls are overcrowded and their passengers hungry, thirsty and shivering. 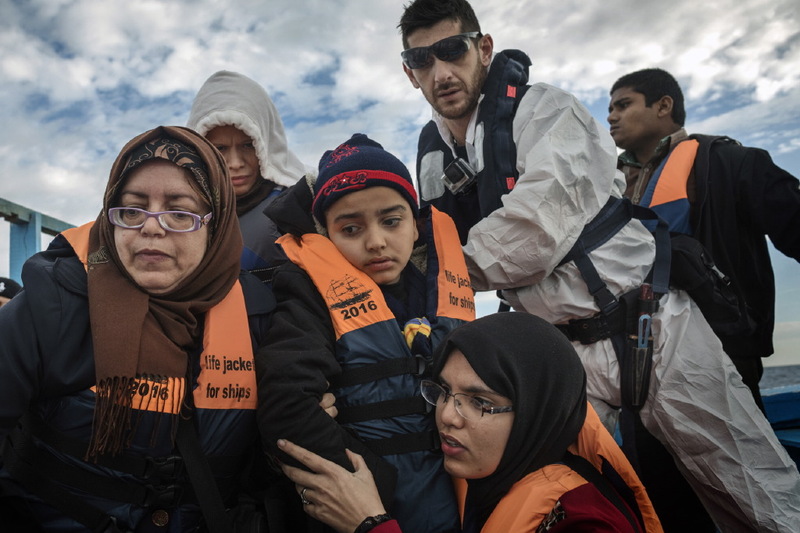 Women huddle close to their children, the men are wrapped in thermal blankets, while some of them are literally pulled out of the water, grabbed by the life jacket, and taken to safety on the ship. 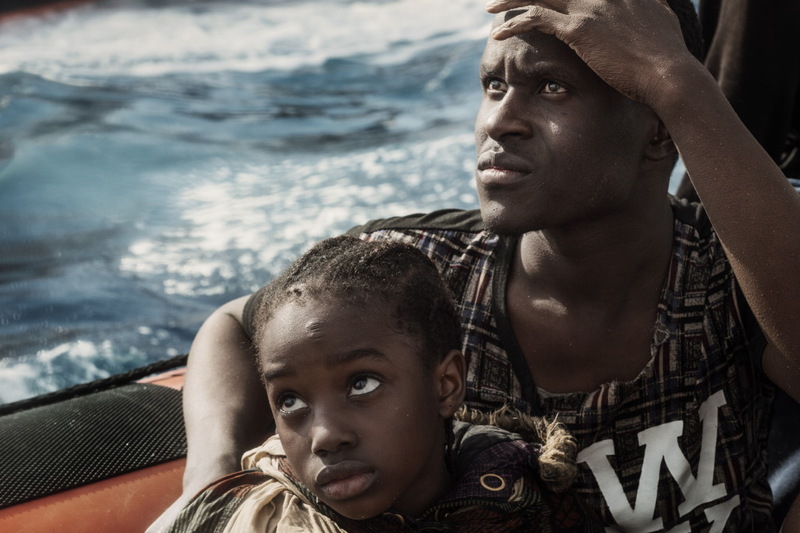 There is a small thread of hope coming from the migrants eyes. On the horizon one can see the Sicilian coast. They leave a pitiless crossing behind to prepare for another long journey. (Text by Sebastian Caputo). Mediterranean Sea, Italy. 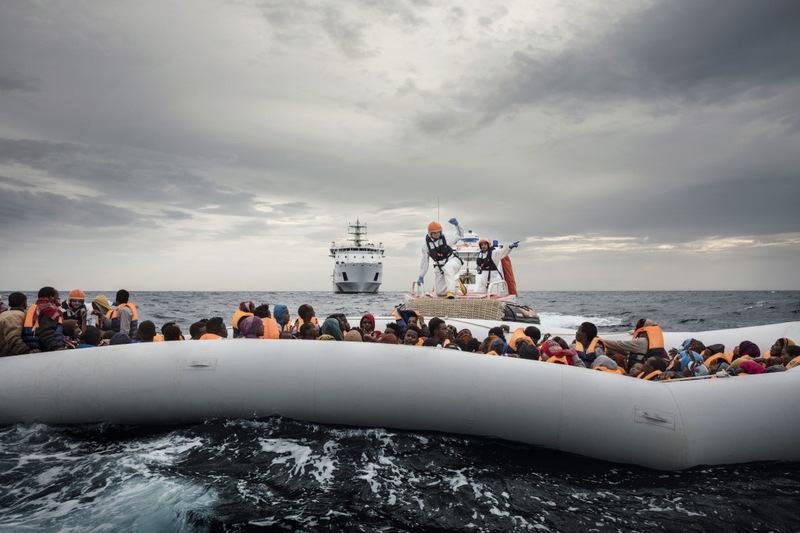 The ship of the Italian Coast Guard approaches a raft full of migrants urging them to keep calm. Mediterranean Sea, Italy. 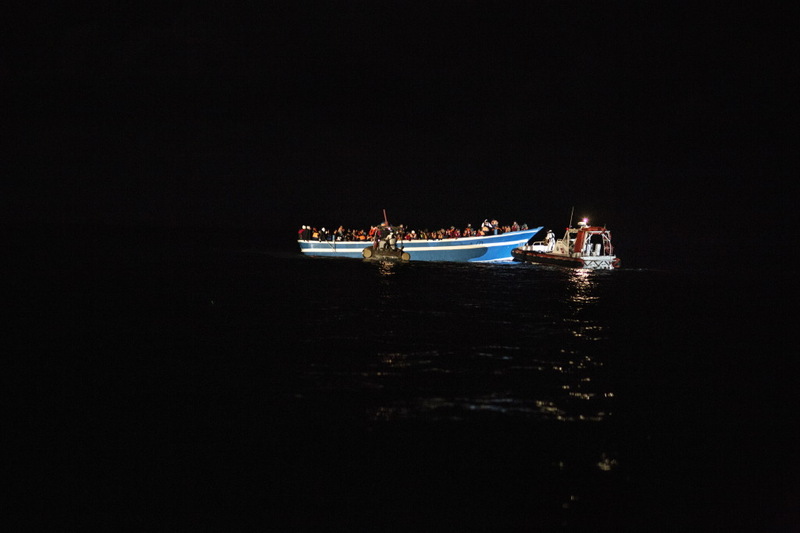 The boat of the Italian Coast Guard approaches a small boat of migrants. Mediterranean Sea, Italy. 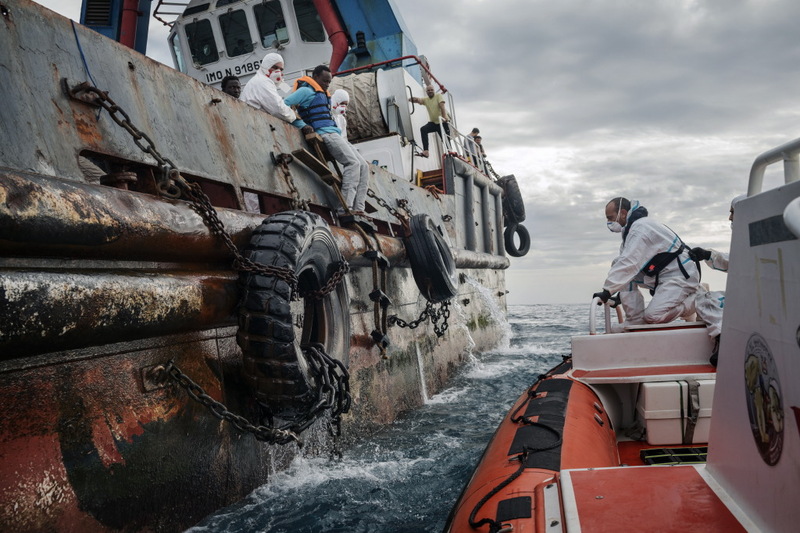 A tug from a private tanker transfers migrants they rescued to the crew of the Italian Coast Guard. Mediterranean Sea, Italy. 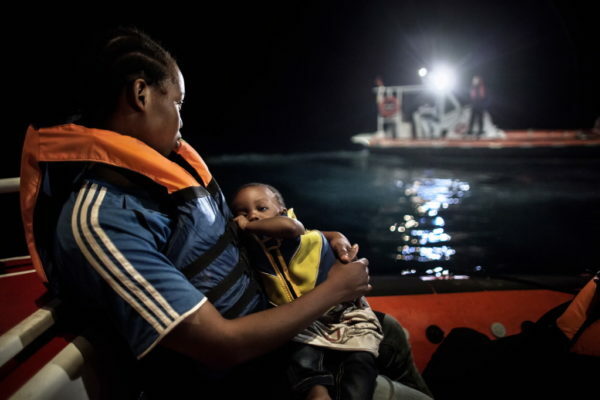 During the transfer from the boat to the Italian Coast Guard ship, children and women are led to safety before the men. Mediterranean Sea, Italy. 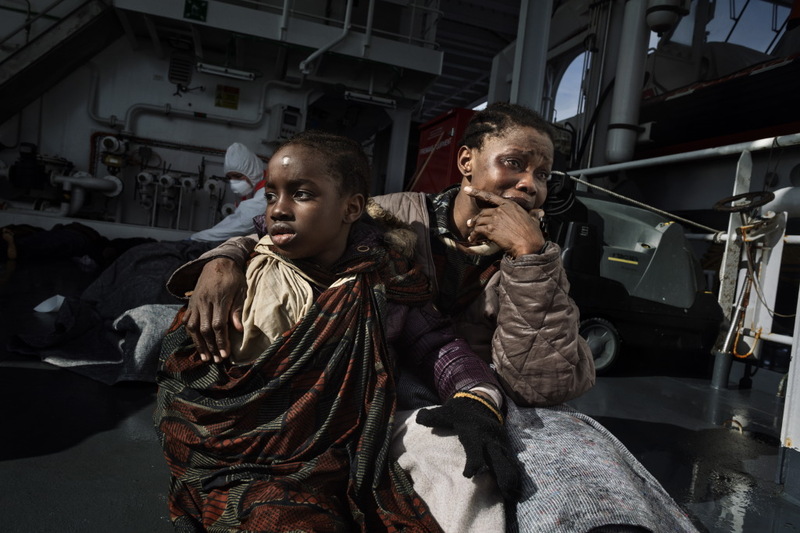 A family of migrants from Libya aboard a small boat are transferred to the ship “Ubaldo Diciotti” of the Italian Coast Guard. Mediterranean Sea, Italy. After the first approach at sea, the boat is brought closer to the ship “Ubaldo Diciotti” to carry out the transfer of passengers. 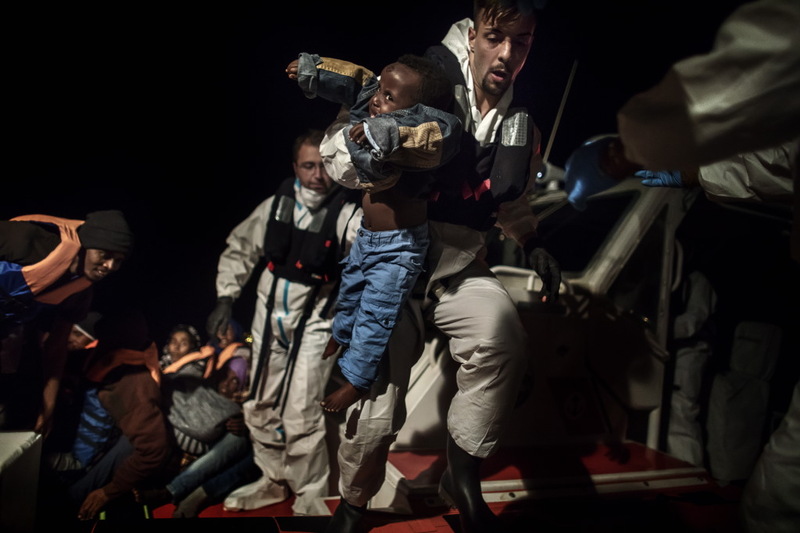 Mediterranean Sea, Italy.A sailor of the Italian Coast Guard picks up an African child in his arms to transfer it over into the ship. 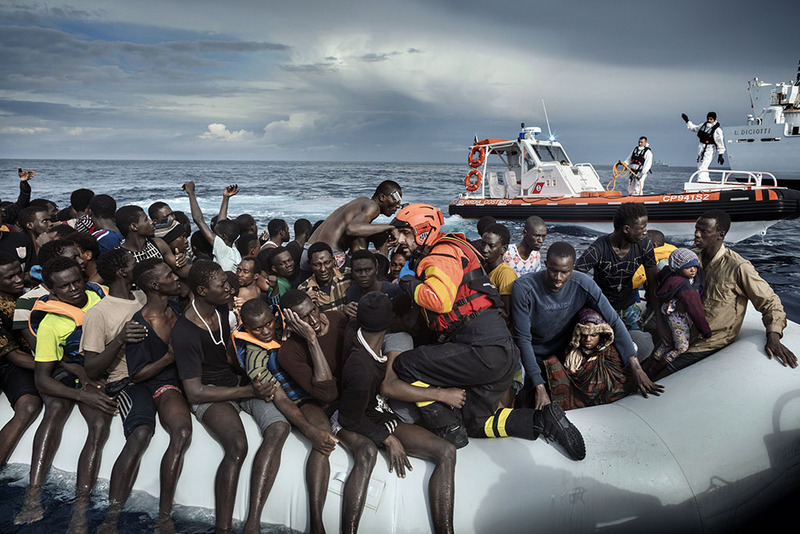 Mediterranean Sea, Italy.A Libyan family with 7 children travelled on a small boat of fifteen people.The father taught at the University of Tripoli but was not paid for two years, so he chose to emigrate to Norway where his sister is already living. Mediterranean Sea, Italy. 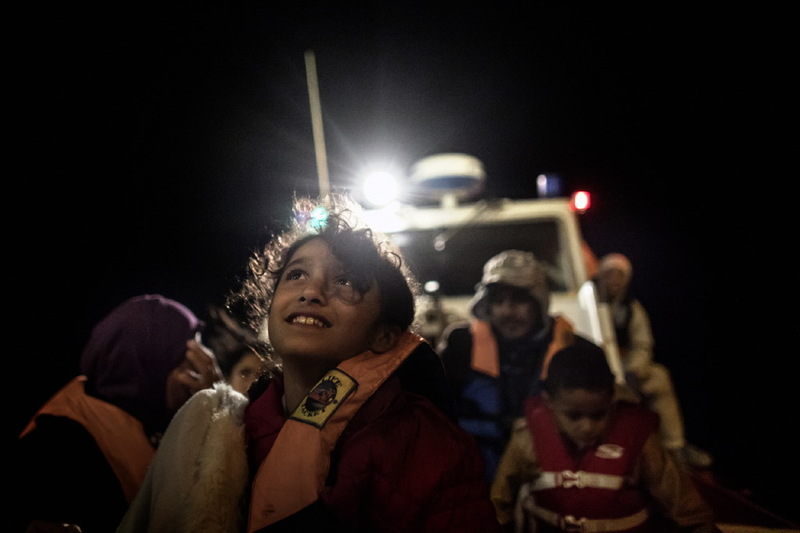 A little girl is enraptured by the immense ship “Ubaldo Diciotti” of the Italian Coast Guard before climbing aboard it.The worst is over. 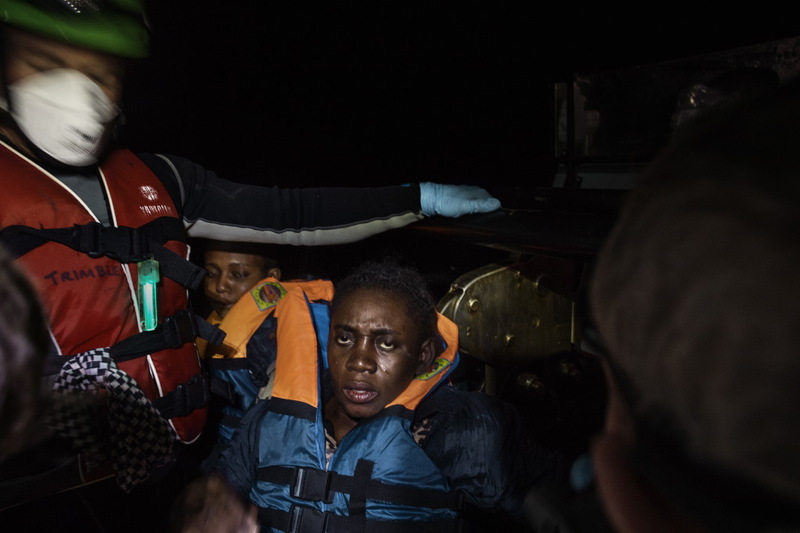 Mediterranean Sea, Italy.A woman with a life jacket has just been saved but her gaze remains mortified by the boat journey. 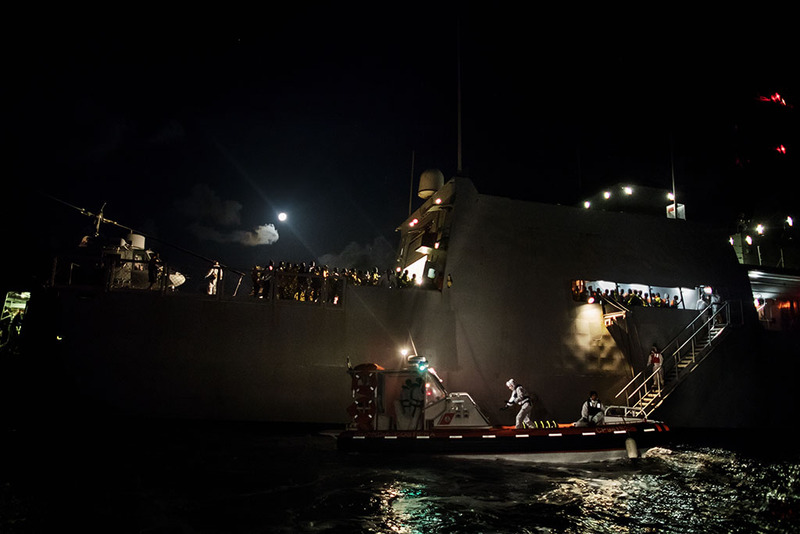 Mediterranean Sea, Italy.The Italian Coast Guard crew in action during the night transhipment operations between two ships. Mediterranean Sea, Italy. 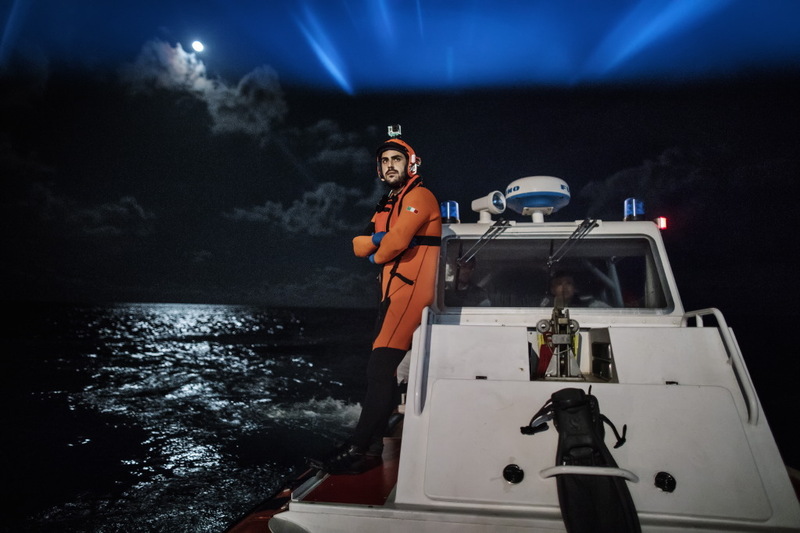 Rescue operations by the Italian Coast Guard also happen at night after finding the remotest boats in the waters. editerranean Sea, Italy. Portrait of the rescue swimmer. 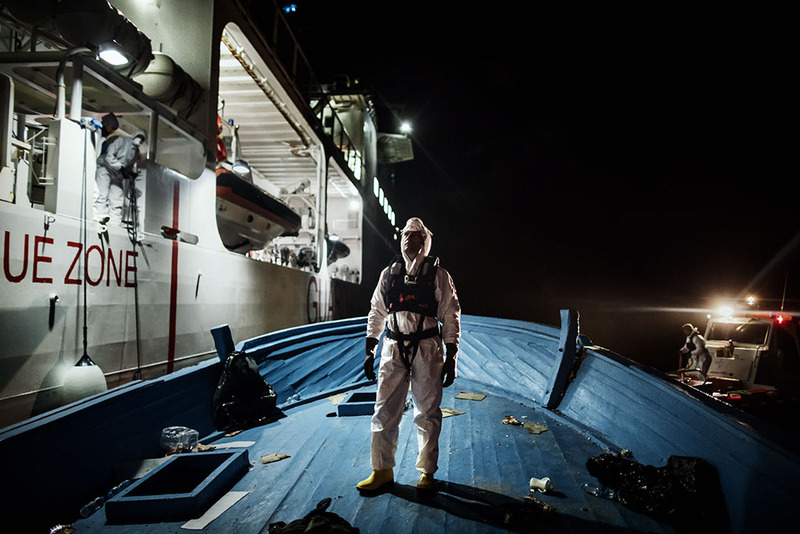 Because of the increase in landings the Italian Coast Guard had to create a new professional capacity, to recover migrants dispersed in water. Mediterranean Sea, Italy. 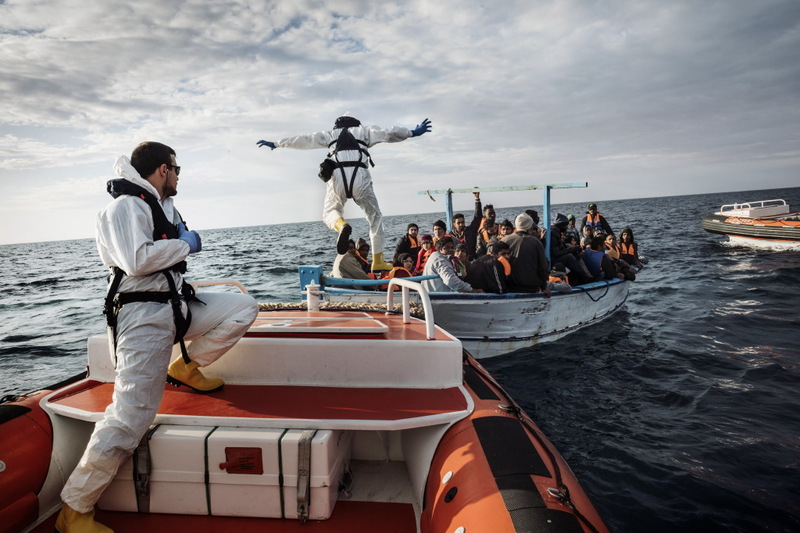 The Italian Coast Guard rescue swimmer has just embarked on the dinghy to take over and begin to bring it closer to the ship. Mediterranean Sea, Italy. 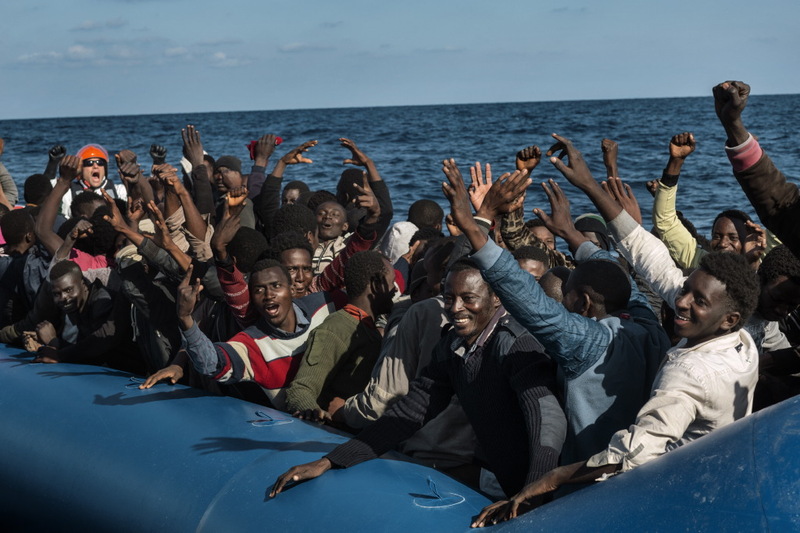 A group of migrants are celebrating the arrival of the ship “Ubaldo Diciotti” of the Italian Coast Guard. Mediterranean Sea, Italy. 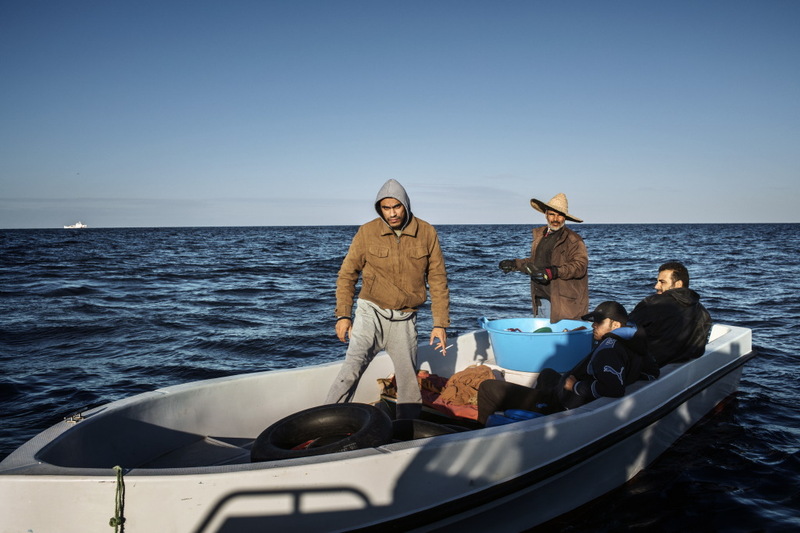 In this small boat, 4 men, casually pretend to fish.They are assumed to be members of the organization of illegal smugglers who organizes landings.Their job is to be able to the dinghies, motor and life jackets intact to Lybia and inform their leaders on the outcome of the trip. 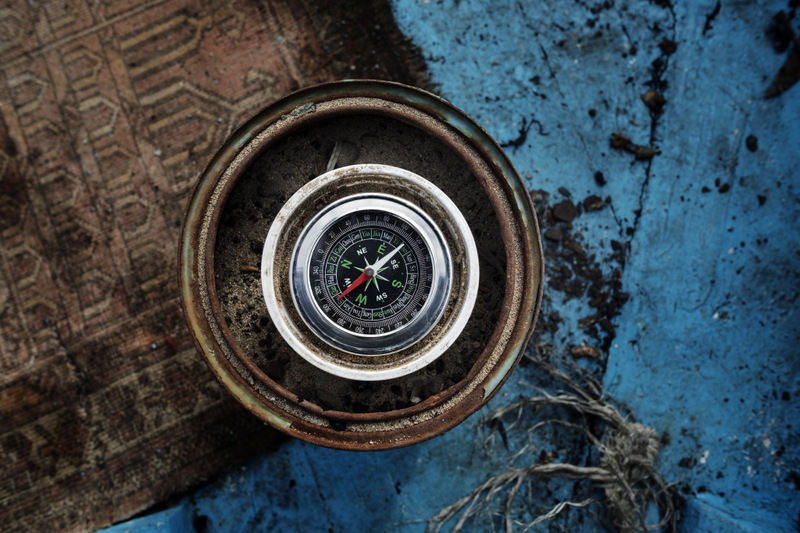 Mediterranean Sea, Italy.A compass in the boat that indicated the path to follow in the sea to the migrants. Mediterranean Sea, Italy. 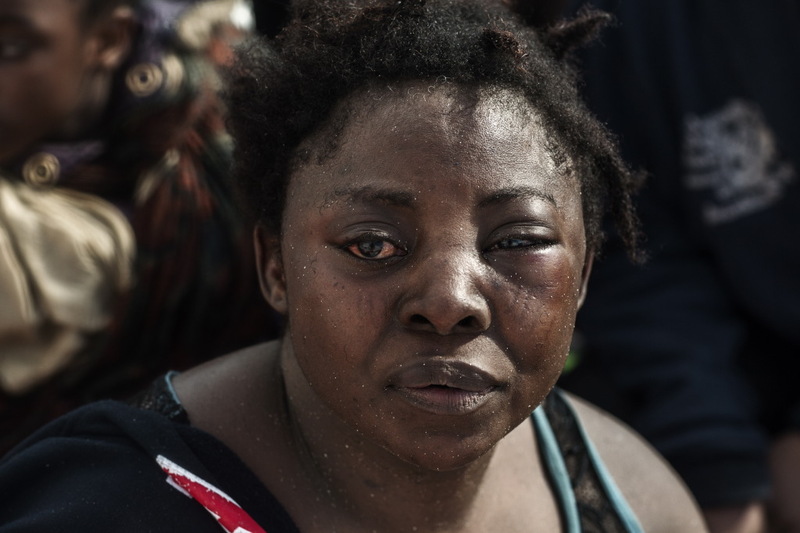 An African woman carries on her face the signs of a beating occurred during the journey. Mediterranean Sea, Italy. 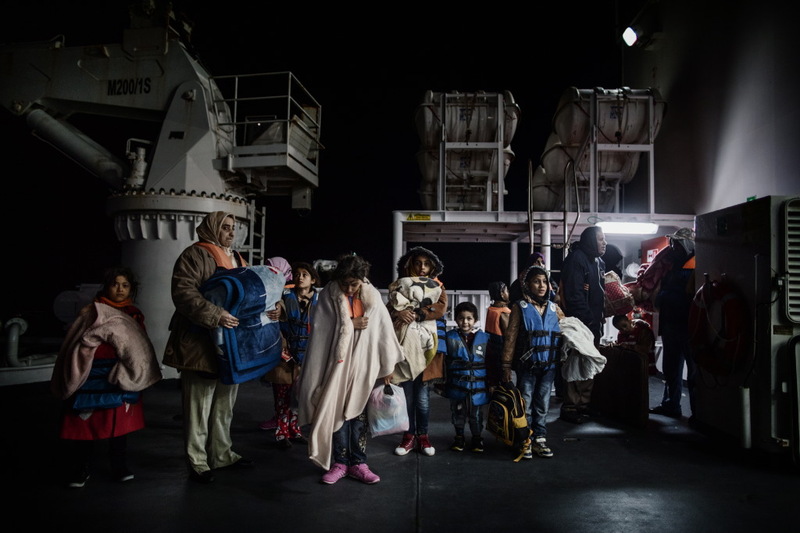 On the main bridge of the ship , young migrants wrapped in thermal blankets, live a moment of peace after a gruelling journey on the boat. Mediterranean Sea, Italy. 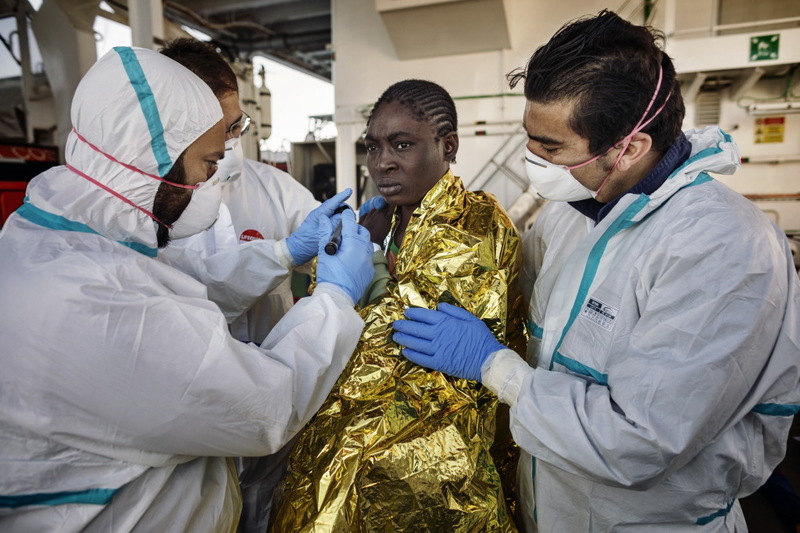 Two sailors from the Italian Coast Guard as they save a young woman, offering her a thermal blanket to protect her and keep her warm. editerranean Sea, Italy. 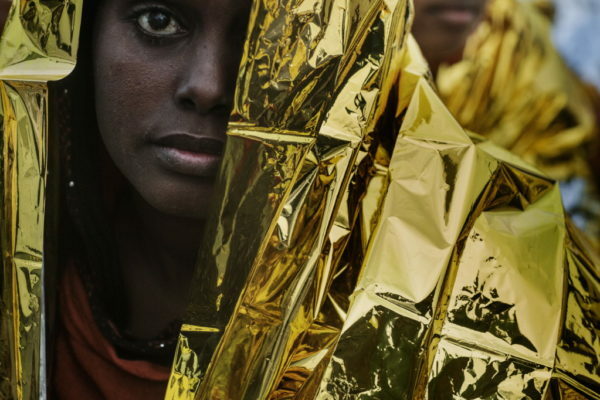 Migrants are arranged in rows, wrapped in thermal blankets. A woman with identification number 38, a Christian, prays with her eyes closed. Mediterranean Sea, Italy. A young woman wrapped in a thermal blanket after being rescued by sailors of the Italian Coast Guard. Mediterranean Sea, Italy. 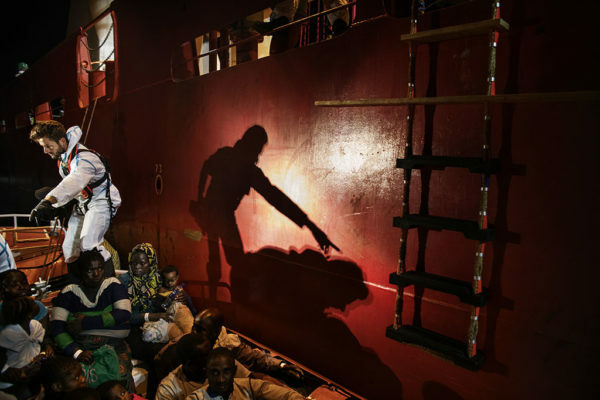 During the transfer from the boat to the Coast Guard vessel migrants help the sailors in helping women on board. Mediterranean Sea, Italy . Women are the ones who suffer more than anyone else the travelling conditions. 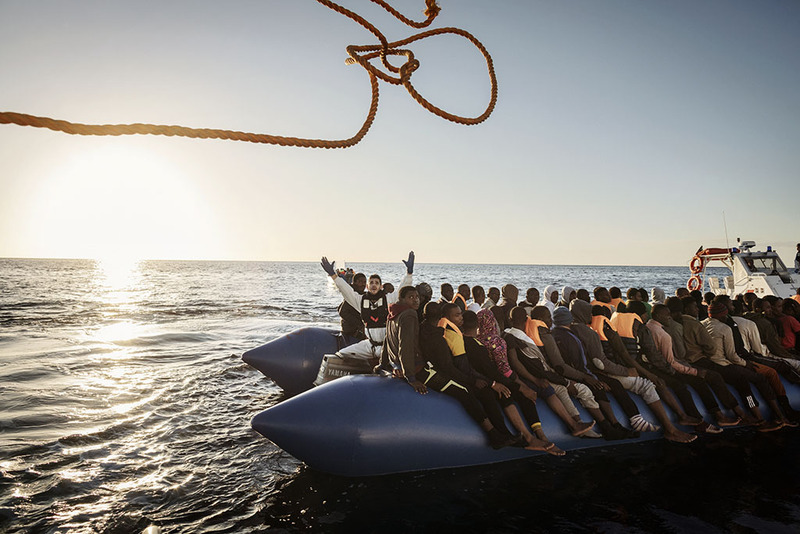 Most of the time they are placed by the other passengers at the centre of the boat, where there is often less air , death by asphyxiation is a very common daily fate. 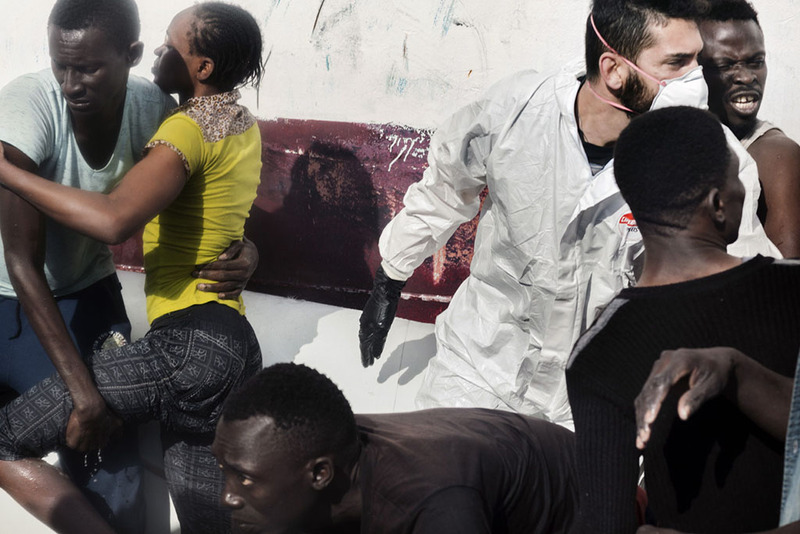 Mediterranean Sea, Italy.Two brothers who survived the trip, huddle against each other, waiting to be taken onto the ship “Ubaldo Diciotti”. 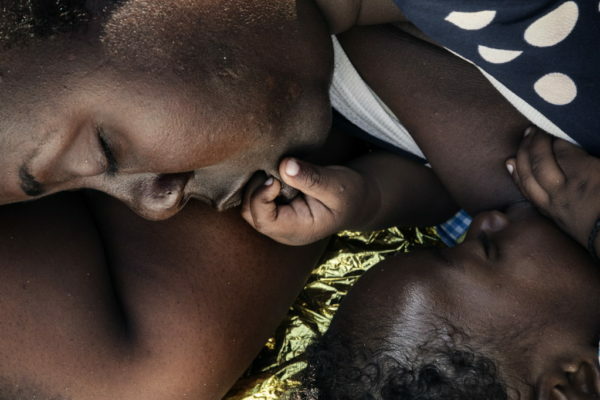 Mediterranean Sea, Italy.A mother suffering for the death of a friend, holds her daughter close, aboard the ship “Ubaldo Diciotti” of the Italian Coast Guard. Mediterranean Sea, Italy. 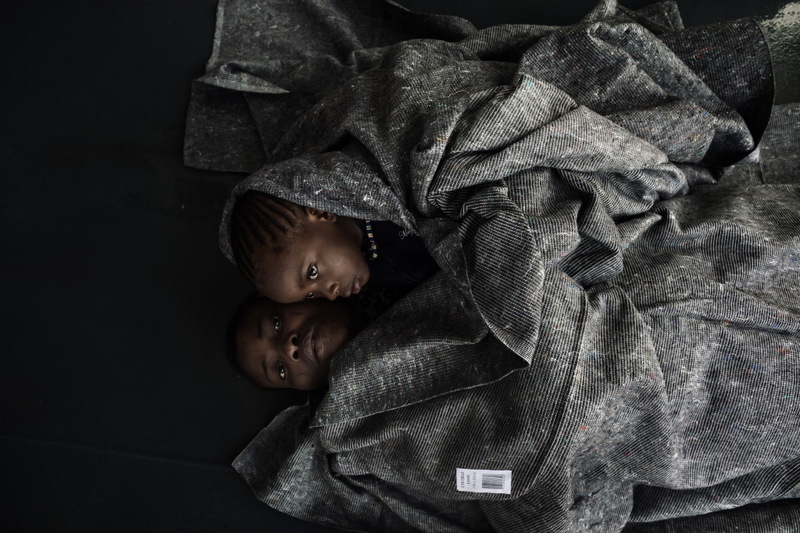 A grieving mother hugs her daughter while wrapped in a woollen blanket , aboard the ship “Ubaldo Diciotti” of the Italian Coast Guard. Mediterranean Sea, Italy. 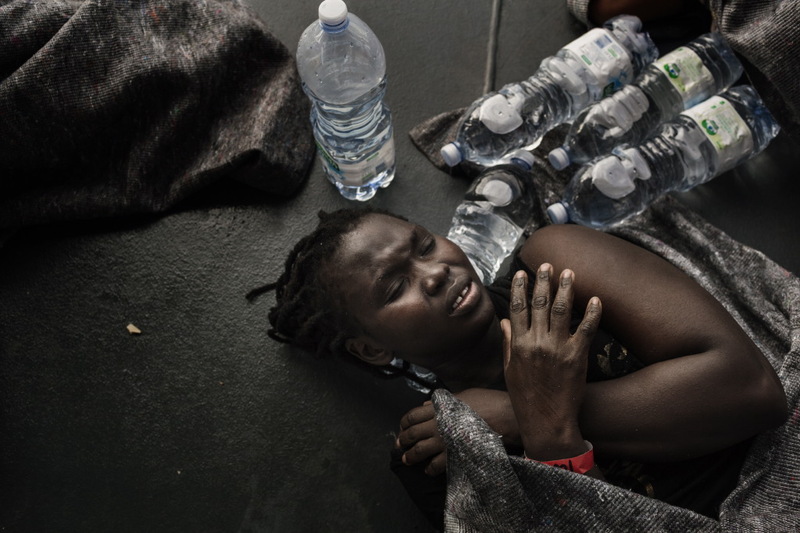 An African woman after being rescued and identified, exhausted, throws herself on the ground wrapped in a woollen blanket. Mediterranean Sea, Italy. 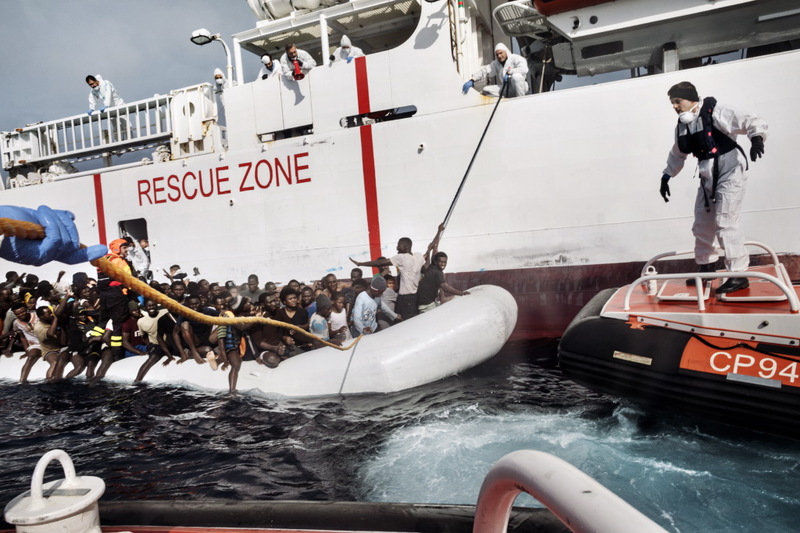 Injured on her leg ,a young woman being literally lifted and helped to move by an Italian Coast Guard sailor. Mediterranean Sea, Italy. 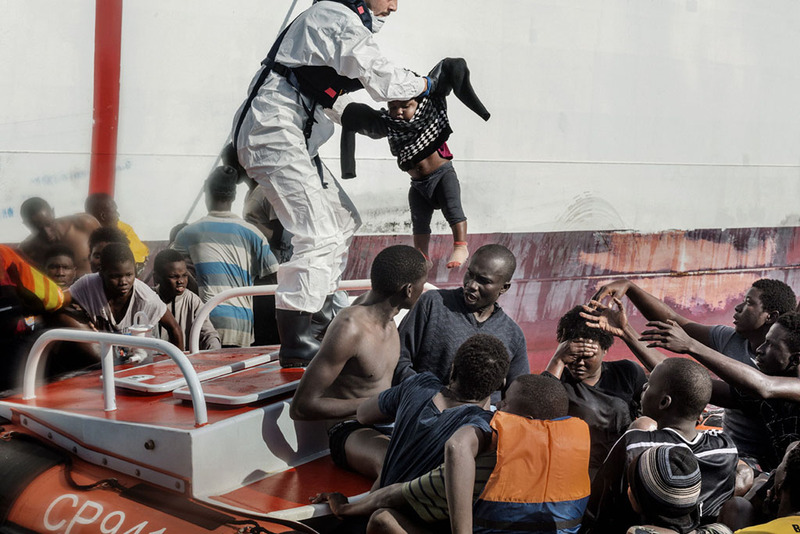 Having approached the boat, a sailor of the Italian Coast Guard goes aboard to take command and transfer the migrants aboard the ship “Ubaldo Diciotti”. Mediterranean Sea, Italy. 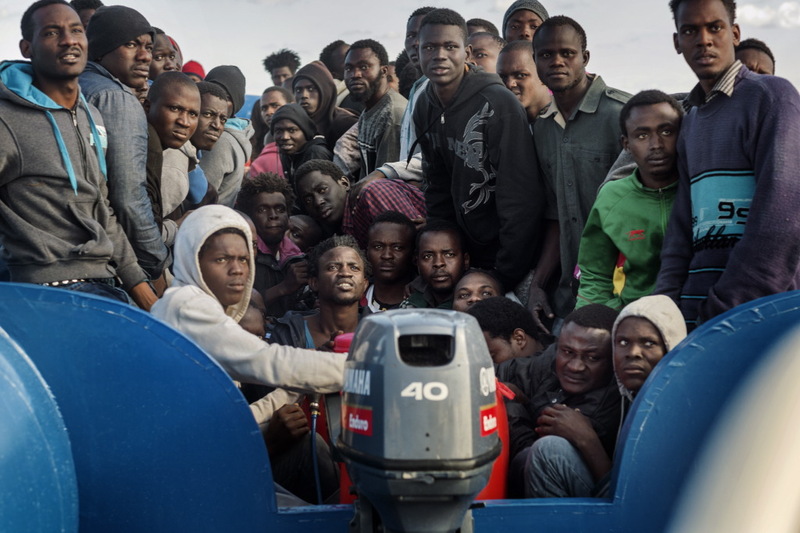 A group of migrants fixated on the Italian Coast Guard ship, waiting for help. 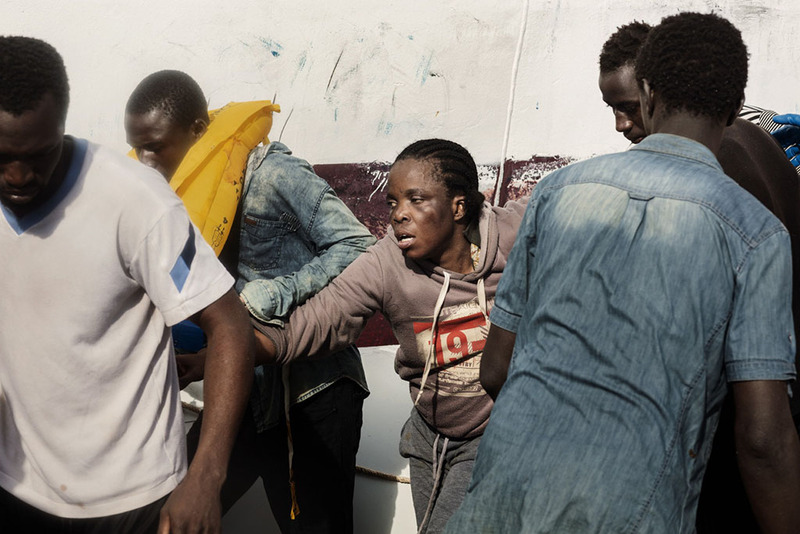 Exhibition “Sea gives, sea takes” by Luca Catalano Gonzaga at “Marenostrum” International Festival of Mediterranean Photography.